Data centers are the repositories in today’s online world, and they’re also regarded as the heart that may pump the lifeblood of one’s business. Inside the data center, numerous issues may break the center, so if anything goes wrong, so does the business. Wrong cabling is one of the issues that may be ignored by most people. But with patch panel labels, technicians can simplify troubleshooting and increase management efficiency. Clear labeling is the groundwork of a professionally installed network system. There is a set of standards named TIA/EIA-606 that aims at fully addressing the administrative demand for telecommunication equipment, cabling system, and other telecommunication infrastructure. For example, the original TIA/EIA-606-A have defined the general administration, but haven’t had specific needs of data center’s design and installation. Another version, TIA/EIA-606-B is backward compatible with the traditional version A, with a purpose of being a universal labeling standard that applies to all types of premises. And in the set of standards, they have explicitly stated that in one building especially the multiple telecommunication spaces, hardware like patch panels, IDC blocks, and copper or fiber cables should be labeled and recorded. Achieving traceability is the main reason for using patch panel labels. Within one server rack, fiber optic patch panel is commonly used for horizontal cable management that acts as the unit to connect and route circuits for monitoring, interconnecting and testing. Patch panel labels include the patch panel identifier. If practical, each port of a patch panel should be labeled. Using patch panel label accelerates the traceability of the relevant cable links. It helps when the technicians need to find the specific cables. Labels can be used for all patch panels. Here is an example, 24 port blank keystone patch panel on FS.COM, which permits users to create a mix connection of voice, data, and video. 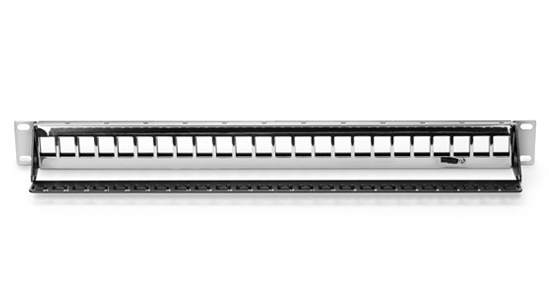 The empty design of this Ethernet patch panel makes it possible to accommodate various snap-in jacks, so the users can insert cat5e or cat6 adapters based on actual needs. Beyond the empty port, there are white plates where you can paste the adhesive labels to mark the cables. Users can quickly find the specific cable that needs to change or upgrade, increasing working efficiency. Some adhesive labels are also available in FS.COM: P-type and winding type cable label. 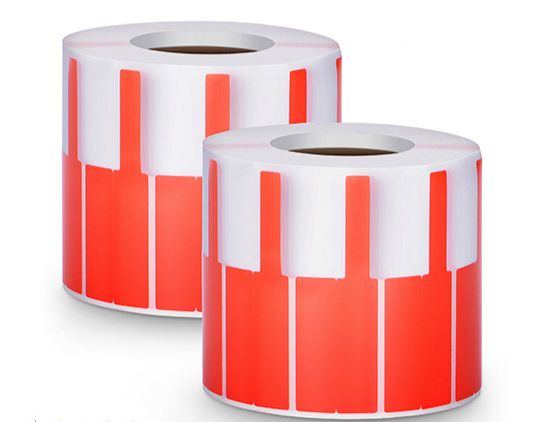 FS.COM provides P-type cable adhesive label paper in red color. It’s a simple identification that is resistant to water, oil, and scratch. 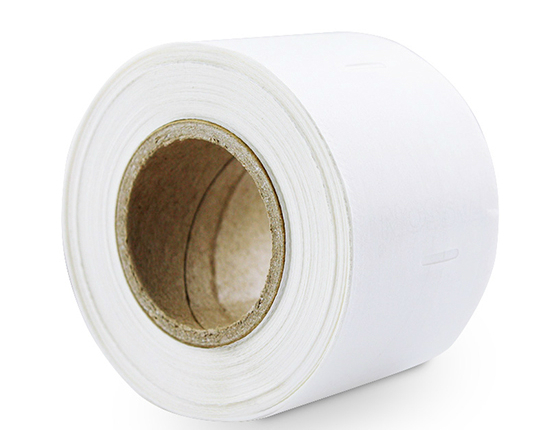 Besides, it will not generate debonding in a low-temperature environment and easy to peel off. Winding type cable label from FS.COM uses an easy wrap-around design, providing a clear and simple identification. With the design of non-slip, it can be pasted on patch panels for cables records and placement instructions. For the best practice, all labeling should be visible especially doing the maintenance. Patch panel labels are the effective-cost solution to solve network operation breakdown. When it comes to modifying, repairing and upgrading anything, labeling makes it convenient for your job. For more input on the data center, get in touch with the experts at FS.COM. This entry was posted in Cable Management and tagged ethernet patch panel, fiber optic patch panel, horizontal cable management on June 30, 2018 by Sinead. Zhang.